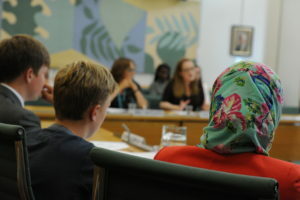 On Wednesday 14th November, the Youth Select Committee will launch its report investigating the barriers faced by young people across the country in accessing quality work experience. Movement to Work, a collaboration of UK employers committed to tackling youth unemployment through provision of high-quality work experience and other work opportunities for young people (16-24) that are not in education, employment or training (NEET), said that it fully supports the report’s findings. Over 100 UK employers have signed up to Movement to Work, including the Civil Service and the NHS; FTSE 100 companies such as BT, Centrica, Diageo, HSBC, M&S, Accenture and numerous SMEs. Together, our members have delivered over 75,000 work placements over the last four years. Of those completing placements, over 50% have achieved a ‘positive outcome’ by going directly into employment, further education or training. work experience not only benefits individuals, it will also help futureproof the UK’s economy. The UK faces major skills shortages, particularly in STEM, which will be exacerbated by Brexit. Work experience can help to generate interest amongst young people in these careers. using a proportion of the Apprenticeship Levy to fund schools to fund support and advice on technical placements for young people. Movement to Work wants the Government to make the Levy more flexible so that it can fund pre-apprenticeship and other training so that those who could do great jobs in the future have a chance to build careers too. James Ashall, chief executive of Movement to Work, said: “The Youth Committee’s report highlights an issue we are trying to address, access to placements that lead to employment. Everyone deserves a chance to get good career, but many young people with significant potential, like those we have already seen gain work placements through Movement to Work, are often left behind as they are stuck in a ‘no job, no experience cycle’ and become virtually invisible to those recruiting. Movement to Work is linked to several partner charities, including The Prince’s Trust, The Change Foundation, Knowledgepool, Street Elite and many others, working with a range of young people who need work experience that will launch them into the workplace. Organisations wishing to join Movement to Work and commit to work placements and other job opportunities throughout the rest of the year should contact Movement to Work through info@movementtowork.com.